There are many ways to support us, ranging from a straightforward donation, to organizing and running a fundraising event. Or perhaps you want to donate your time in support of a fundraising event. Whatever you do, we will be truly grateful for what you donate to us. You can donate to us via PayPal, Crowd Rise, or through Amazon Smile. You may choose to donate money for specific items or medical equipment. We can help you to select an appropriate item or piece of equipment. We are always looking for equipment and supplies. This may include medical supplies, AED, equipment bags, Tricorders, food during an event or convention, etc. Please look at our Amazon wish list for more info about what we need and want. You can also donate directly to us just by shopping on Amazon.com using Amazon Smile. If you or your business performs a service that we could use, talk to us about the possibilities. Pro-bono arrangements help to keep our costs down, allowing more money to be dedicated to helping nerds and attendees of pop culture conventions and events. 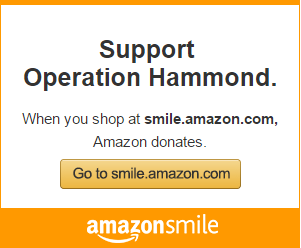 If your company or corporation is interested in contributing to Operation Hammond we would love to hear from you. Whether through a donation that provides sustaining funding for our ongoing charitable mission programs, donating a percentage of revenue or profits, contributing technology or services, or providing ongoing access to your staff or expertise, please check out our Corporate Funding and Charitable giving Section. Operation Hammond is one of the only non-profits with the medical aid, social care, and training dedicated to helping nerds and pop culture fans in times of need. 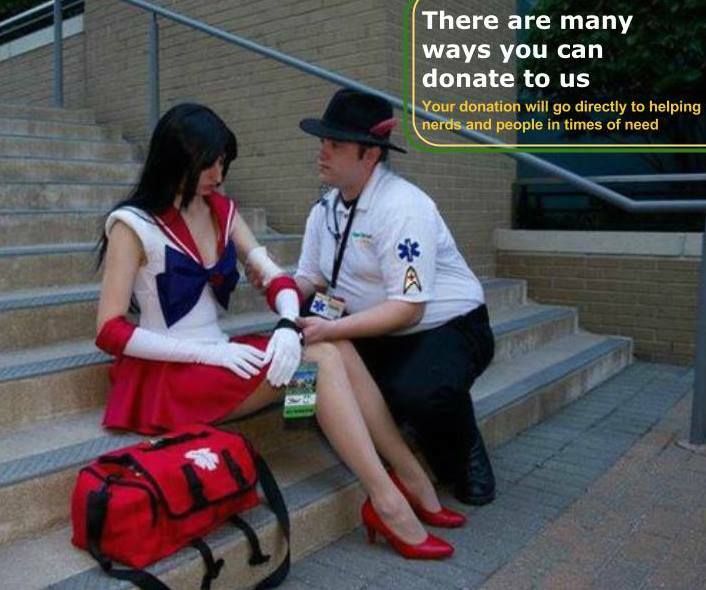 We are the sole social medical support, training, and social care organization created by nerds for nerds. We train convention staffers and others in first aid and social care, in a fun way, that encourages leadership and lifesaving skills. Anyone, including those who donate or attend one of our training courses, is welcome to apply to become a member of Operation Hammond. For more information about donations or fundraising please email us at info@operationhammond.com visit us on PayPal, Facebook, Crowdrise or Amazon to make a difference today.